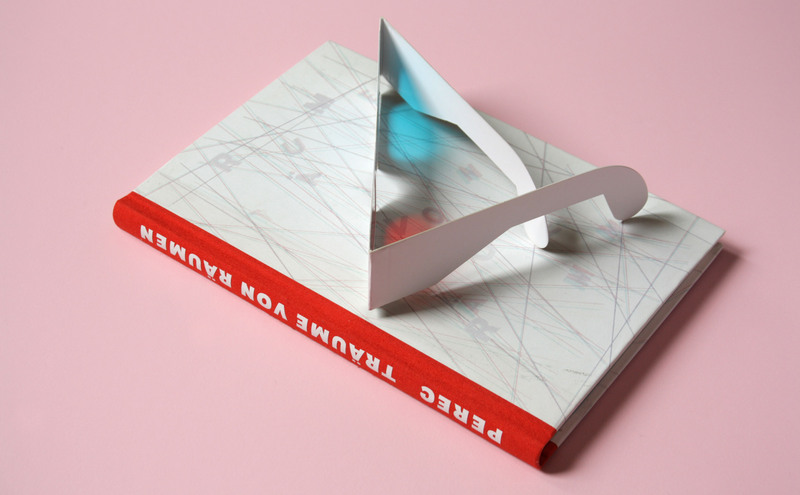 Georges Perec, Species of spaces – spatiality, already implied by the title, inspires the whole content of this book and is therefore also reflected in the cover design. The cover reveals a 3-D picture when looked at with red-cyan glasses. To create this effect, the cover was not designed digitally but shows the photograph of a box in which wires are strained in all directions so cut-out letters can be fixed on them.